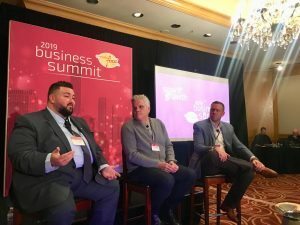 As we head into the warmer months of the year, there are a few factors that will continue to influence the direction of the trucking market for 2019. Throughout 2018, much of the market was affected by the electronic logging devices (ELD) mandate, the driver shortage, natural disasters, import tariffs and a booming domestic economy. This is not the case for 2019 as it looks as though things will mostly return to a normalized state. To understand the pull back towards standard conditions, we will look at some of the factors currently influencing the state of the trucking market. One aspect of the trucking market that will not change this year, however, is the prevalence of electronic logging devices in vehicles. In fact, ELDs will further expand into universal, industry-wide usage. By December 16, 2019, further regulations concerning the devices will be rolled out as part of the tiered structure of the ELD mandate. According to the mandate, automatic on-board recording devices (AOBRDs) will be banned in the commercial truck space by the end of the year. Instead of continuing to rely on AOBRDs, trucks must incorporate ELDs in their place. It is estimated that up to 50 percent of the trucking fleet in the US still uses AORBDs. The former HOS/ELD provisions allowed carriers who used AORBDs to be “grandfathered” in. Meaning they could continue using AORBDs for the time being to allow carriers to slowly incorporate ELDs into their vehicles. That grace period has now passed and up to 3.5 million trucks will need to upgrade or replace their systems by the end of the year. This could negatively impact capacity if some fleets do not comply, but also change the way that fleets are currently operating. All commercial trucks including UPS, FEDEX, Amazon vehicles to install ELDs. Previously, only Class 8 semis were required to have the devices. It is estimated that up to 60 percent of these vehicles will need ELD installation. The Federal Motor Carrier Safety Administration’s long-term goal is to create a more stable and predictable trucking market, but in the short term the expanding regulations could cause major capacity issues as many transportation companies are still unprepared for the impending additions to the ELD mandate. 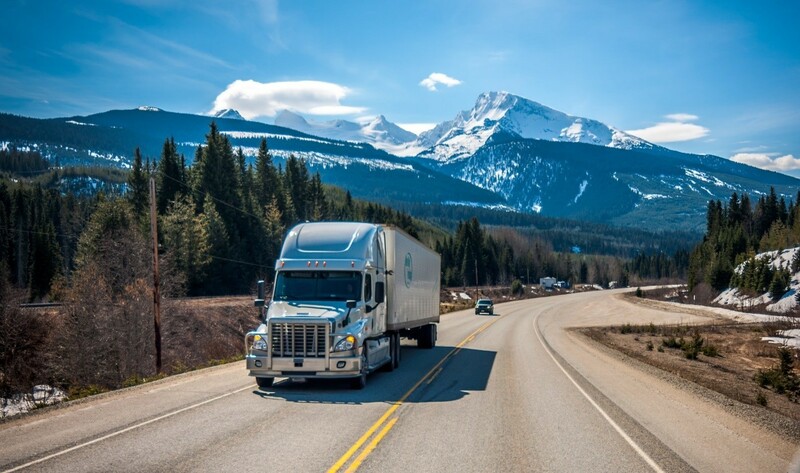 In 2018, carriers were able to dominate the trucking market leaving shippers and 3PLs in a tough spot; however, in 2019 there appears to be some relief headed their way. And during the first week of April we’ve seen them inch up to $1.87. As a result, spot rates are expected to remain relatively flat through this year. In 2014, the market set expectations for “normal” transportation trends with a dip in Q1 followed by a strong Q2. Projections show that we are most likely on our way back to this pattern and returning to a normalized freight cycle in 2019. Capacity is more abundant this year than in 2018, but we have yet to see a surplus and most likely will not. More trucks and drivers have entered the market, but capacity is still at a deficit overall. The economy is growing at a faster rate than the supply of trucks and drivers. Fleets have been able to expand their driver pools and plan around the ELD mandate more effectively. Due to these factors, the consensus is that we will not see the kind of capacity crunch this year that we did in 2018 in the trucking market. “This promises to be a year when shippers and truckers return to the rough equilibrium enjoyed since the recession,” said Cassidy. If a driver spends detention time at a shipper or receiver, increased cost and delays are passed through all parties in a transportation network. Carriers lose time and potential money, while shippers experience interruptions in their supply chain. Despite it costing all involved in transportation, detention has been a problem for years and continues to be. The average load paid $2.03/mile at peak. The average length of a haul clocked in at 550 miles, which is one day of transit. The industry average was 3.73 loads per week in 2018. Using those figures, drivers have the capacity for an additional 1.27 more loads per week or another 698.5 miles at $2.03/mile, which adds up to an extra $1,417 per week. To offset these opportunity costs, carriers build in expected detention charges to their rates for facilities that regularly detain their drivers in order to maximize profit. This practice of inflating rates especially comes into effect when detention is uncompensated. Freightwaves collected data from ELDs that showed drivers spend on average 7 hours per week in uncompensated detention which costs trucking companies $560 per truck/week or nearly $28,000 per year. If you take the entire industry into account, this could be as much as $25 billion in lost productivity. Time spent in detention also takes drivers off the road, which negatively impacts available capacity. Decreased capacity sways the market to the trucker’s favor and raises rates, which ends up being costlier to the shipper or receiver than the detention itself. While there is an industry-wide effort to incorporate technologically driven solutions to ease the strain of this problem, we can expect to be dealing with detention for the foreseeable future. As agricultural production ramps up for much of the country, so too does its shipment, but initial projections show that produce freight should be down from last year. This is likely due, in large part, to the massive disruption that flooding has caused for agricultural production in the Midwest and Great Plains this spring. While the produce can bounce back more quickly than livestock production, this growing season will be anything but normal for farmers affected by flooding. An estimate from an article published in New Food Economy quantifies grain loss at somewhere around $400 million for farmers in Nebraska. This disrupted season will slow or completely halt production in the corn belt. Less trucks will be needed to transport the decimated crop production in those areas. That will likely lead to a massive increase in produce trucking capacity for at least the foreseeable future. In other areas, intra-regional rates have decreased to some of the lowest rates in years even with decreased inbound rates from across the nation. Produce will increase the rates slightly towards the latter half of Q2 in the Carolina’s and Virginia. But with an expected lower than normal produce season, this increase will be brief, and will decrease even more as produce season comes to an end. Expect spot market rates continue to drop for the foreseeable future. Produce season has started to kick off in Southern Texas. Laredo is especially freight heavy with an average of 6.3 loads per truck. The Northeast region is very slow and truck capacity is up across the board, from the Carolina’s up to Maine. The Midwest region has enjoyed abundant capacity in the past month. Rates on loads outbound from Chicago seemed to have bottomed out and risen slightly. Anything outbound from NJ to the MW is highly desirable, especially for backhaul carriers that have lowered their rates significantly from last year. We are starting to see rates from TX, GA and FL slightly rising but produce rates have not gone into full swing yet. Westcoast produce is starting heat up now but will peak towards the end of Q2 May-June. We should not see any major fluctuations, and it seems to be a weak market everywhere right now. There is currently some push back out of Texas, regular carriers are still around our normal rates, but spot rates tend to be higher, and will continue to rise throughout the quarter. Want to keep up-to-date with the most recent news affecting the trucking industry? Remain in-the-know of transportation market updates by signing up for Zipline’s monthly e-newsletter.